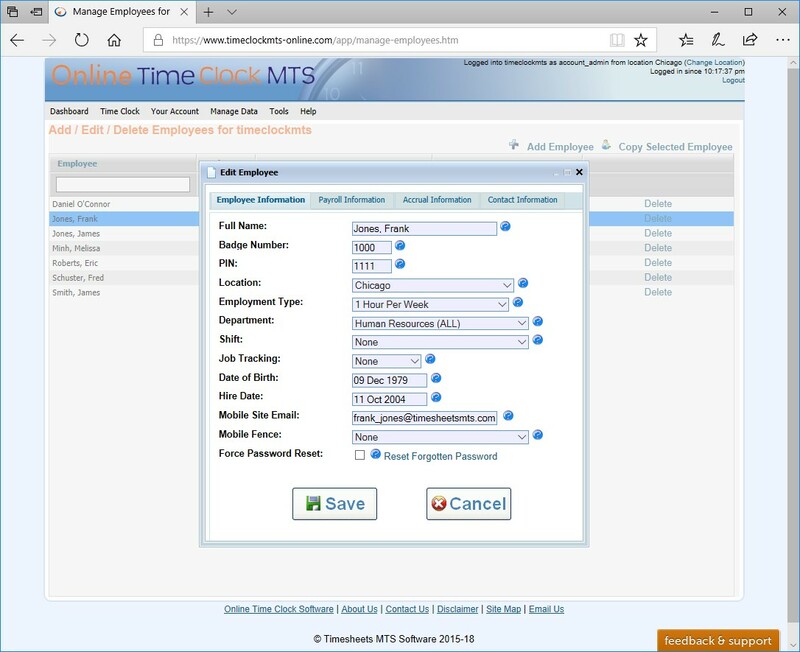 In Online Time Clock MTS you're going to need to create an Employee for each person that you want to track time clock and attendance data for. 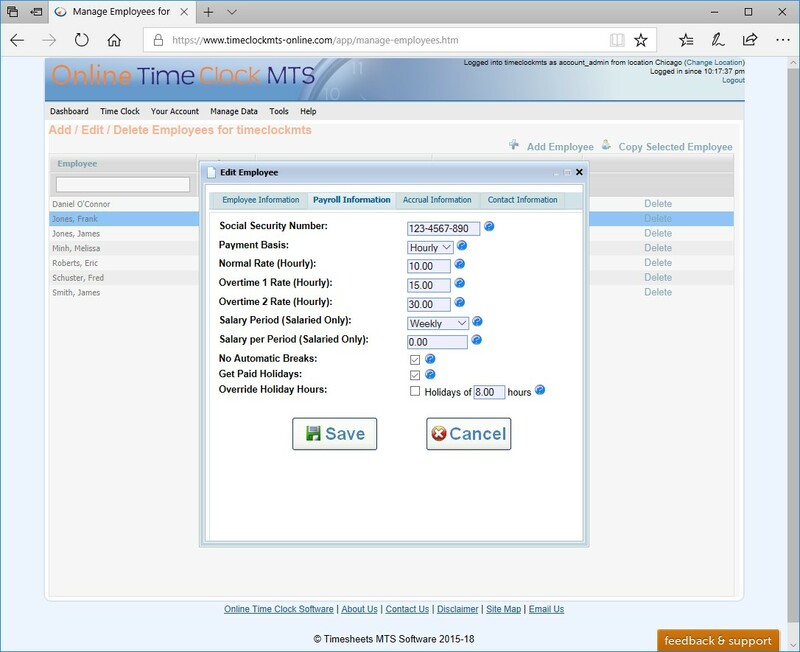 Employees can accrue sick and vacation time, be salaried or hourly, and have differing rates of pay. 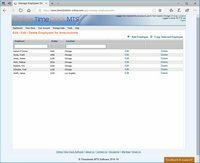 Each employee in Online Time Clock MTS is associated with a locations and they can clock in and out with a group time clock login using the desktop time clock or with their own individual mobile device time clock. 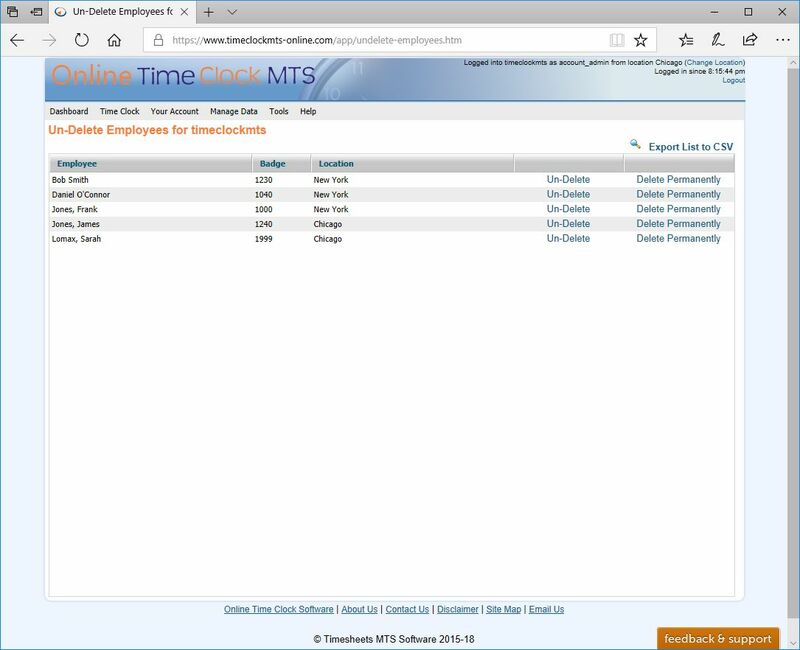 Below you can see some of the screens used by timeclock managers to add, edit, delete, and import employees into our system. 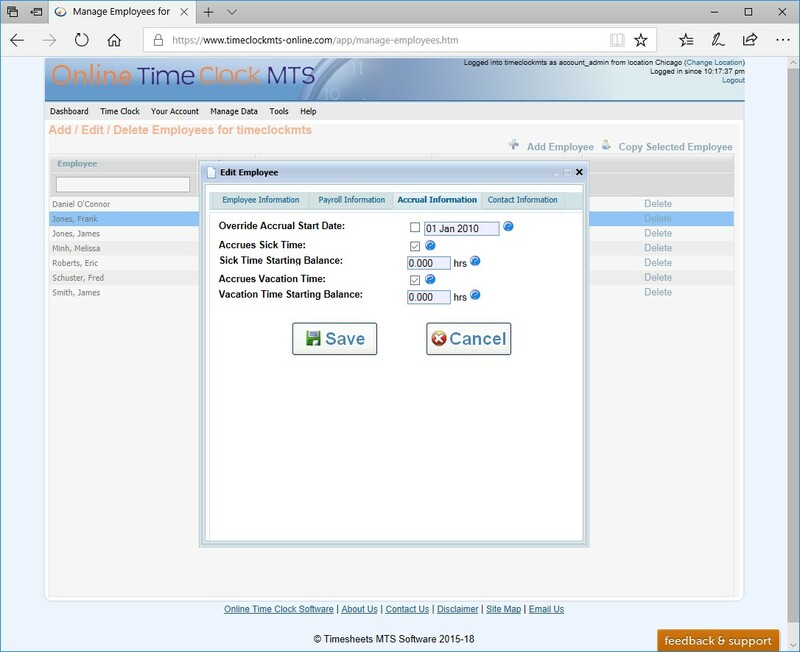 This screen is used to manage the employees that you wish to track time and attendance information for. 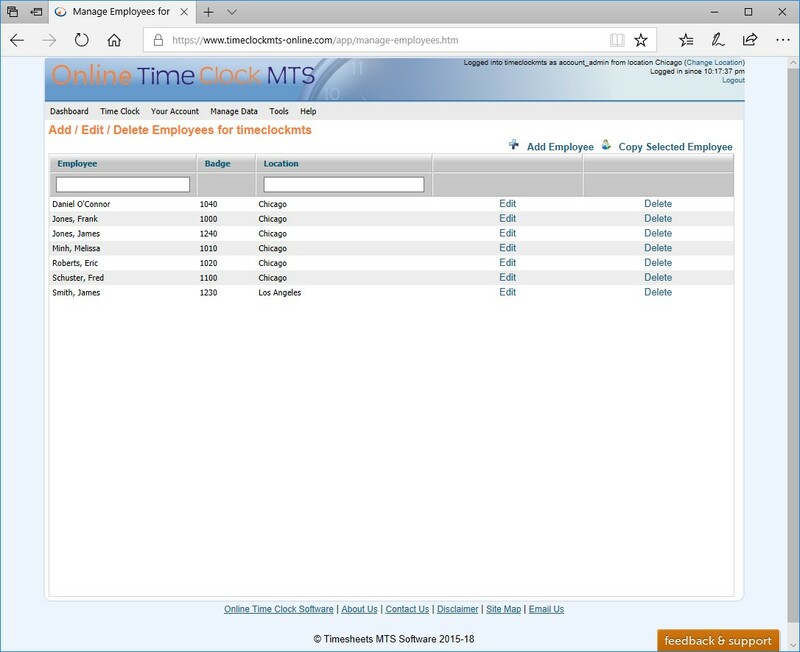 This screen is used to manage employee information such as their name, PIN, badge number, date of birth and hire date. 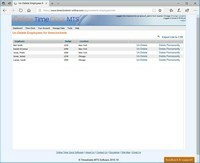 This screen is used to manage individual employee payroll information such as their rate of pay and overtime pay rates. 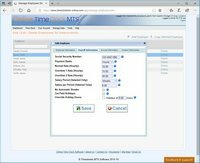 This screen is used to manage employee contact information, including phone numbers, mailing address, and contact email. 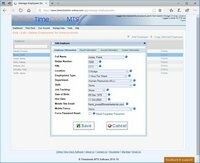 If you accidentally delete an employee they are not gone forever. 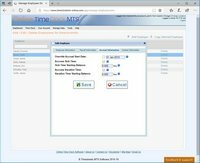 Restore them with the UnDelete employee screen! 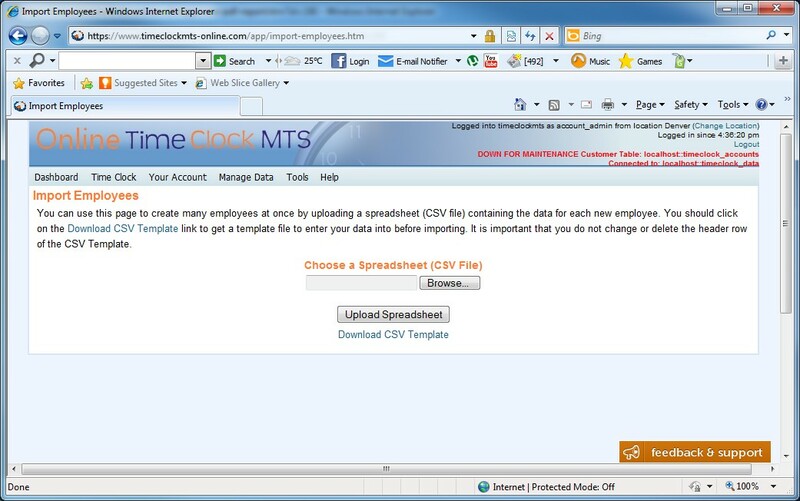 This screen is used to import multiple employees from a CSV file.